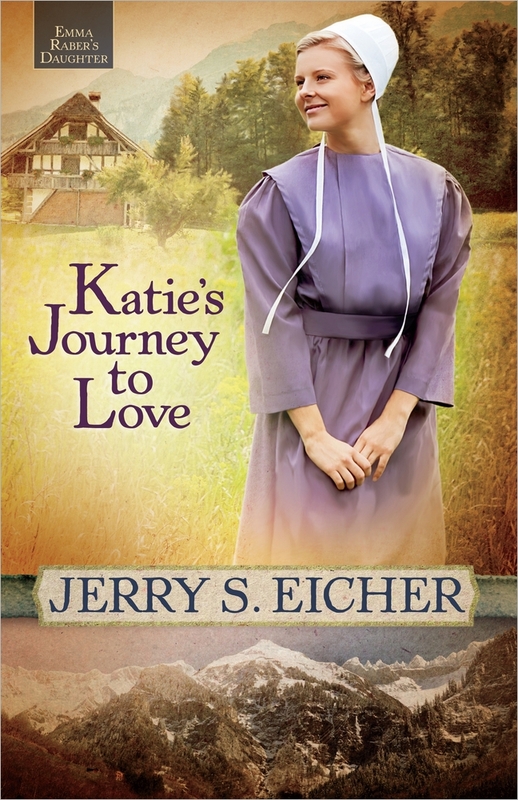 The 2nd book of the series, ‘Katie Journey to Love’ follows the young Amish women as her journey continues through the mountains of Europe and beyond. Katie is settling into her new family home after her mamm’s marriage to Jesse Mast. In these changing surroundings she finds herself drawn back to her Mennonite friends, while her new siblings continue to push her away. Ben Yonder, the communities most popular boy, wonders into the Mennonite youth gatherings as a means of escaping his troubled life. The pair instantly relate through their joint home problems, and their friendship grows strong despite their different upbringing. So when an opportunity falls into Katie’s lap to travel through Europe and experience here heritage, she reluctantly waves her new ‘more-than-friend’ behind. Katie slowly learns the truth about Ben when news spreads that he’s been arrested, but will she find the courage to forgive him? Can she bend her broken relationships? Jerry Eicher’s bestselling Amish fiction (more than 210,000 in combined sales) includes The Adams County Trilogy, the Hannah’s Heart books, and the Little Valley Series. After a traditional Amish childhood, Jerry taught for two terms in Amish and Mennonite schools in Ohio and Illinois. Since then he’s been involved in church renewal, preaching, and teaching Bible studies. Jerry lives with his wife, Tina, and their four children in Virginia. Katie's Journey To Love by Jerry S. Eicher was published by Harvest House in April 2013 and is our 35606th best seller. The ISBN for Katie's Journey To Love is 9780736952538. Be the first to review Katie's Journey To Love! Got a question? No problem! Just click here to ask us about Katie's Journey To Love. 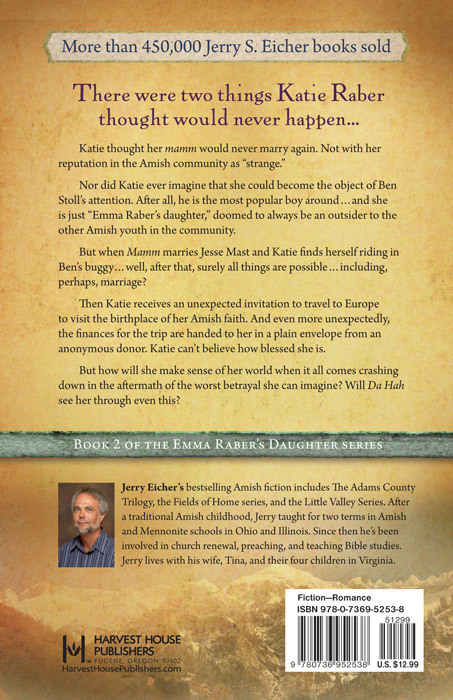 In book two of Amish fiction author Jerry S. Eicher's new "Emma Raber's Daughter" series, Katie Raber's journey of discovery continues after her mamm's marriage to Jesse Mast. Drawn back from the Mennonite world briefly by the miracle of Mamm's changed heart, Katie finds she can't totally abandon her new Mennonite friends. Jesse's oldest daughter, Mabel, refuses to accept Katie, creating conflict at home. Ben Yoder, the most popular boy in the community, also begins to attend the Mennonite youth gatherings in his attempt to run away from personal problems. Overjoyed at the attention Ben pays her, Katie pursues the relationship willingly. When an opportunity comes to travel with her Mennonite friends to Europe to explore the roots of the faith, Katie can't believe how much she is being blessed. Especially after a secret donor pays for the trip. While in Europe, Katie learns the truth about Ben when he is arrested. As her world comes crashing down, she finds healing in her visit to the Alps and the land where her forefathers suffered so much. She returns home determined to mend the bad feelings with Jesse's daughter, Mabel, and to continue on the path to healing without Ben. Book two in "The Emma Raber's Daughter" series.